In 2017, the WSMB is again offering the expanded nematode testing program to include other pest nematodes in addition to SCN. These nematodes are less damaging to soybean than SCN but can cause enough yield loss to warrant treatment. As is the case for SCN, there are no rescue treatments for nematodes so the primary purpose of this year’s soil test is to plan for next year’s crop. Soil samples collected in corn for nematode analysis have predictive value for explaining yield if they are collected before the corn V6 growth stage. 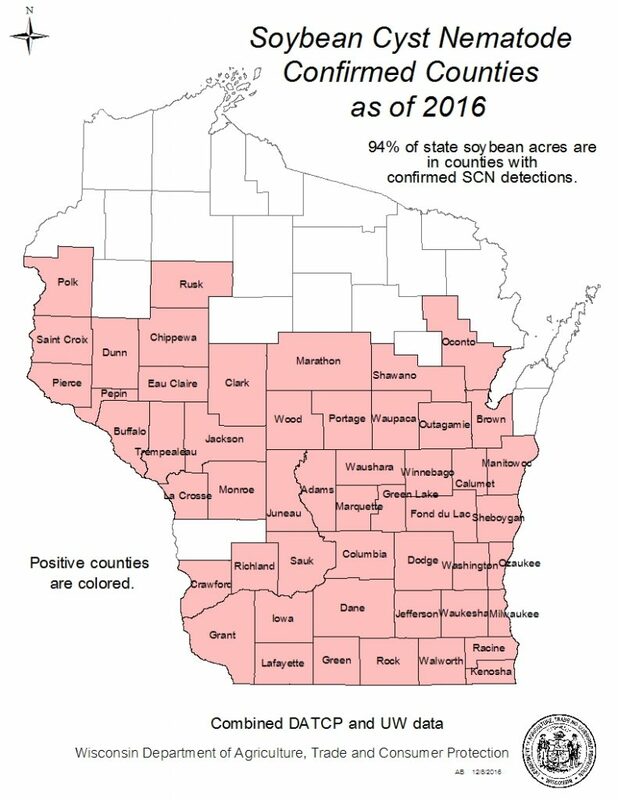 Sampling early in the season will provide information about the risk potential for the current corn crop AND the next soybean crop. In 2017 the WSMB will use PestPros Inc. as thediagnostic lab for nematode quantification. Please discard all old kits and order now ones at the email address below.